Noncompliance with HIPAA can carry a significant cost for healthcare organizations, yet even though the penalties for HIPAA violations can be considerable, many healthcare organizations have substandard compliance programs and are violating multiple aspects of HIPAA Rules. The Department of Health and Human Services’ Office for Civil Rights (OCR) commenced the much delayed second phase of HIPAA compliance audits last year with a round of desk audits, first on healthcare organizations and secondly on business associates of covered entities. Those desk audits revealed many healthcare organizations are either struggling with HIPAA compliance, or are simply not doing enough to ensure HIPAA Rules are followed. The preliminary results of the desk audits, released by OCR in September, showed healthcare organizations’ compliance efforts were largely inadequate. 94% of organizations had inadequate risk management plans, 89% were rated as inadequate on patients’ right to access their PHI, and 83% had performed inadequate risk analyses. It would appear that for many healthcare organizations, little has changed since the first phase of compliance audits were conducted in 2011/2012. Noncompliance with HIPAA is still widespread. 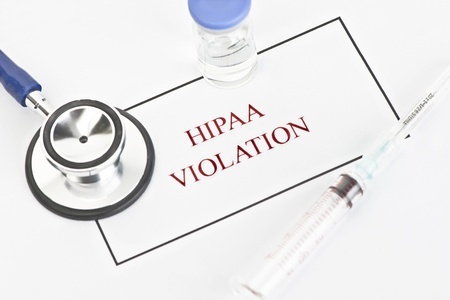 A few years ago, the risk of the discovery of a HIPAA violation was relatively low. Even when HIPAA violations were discovered, OCR rarely issued financial penalties. Similarly, even though the HITECH Act permits state attorneys general to issue fines for HIPAA violations, relatively few have exercised that right. Today, the risk of HIPAA violations being discovered is significantly higher. Patients are now much more knowledgeable about their rights under HIPAA, and OCR has made it easy for them to file complaints about suspected HIPAA violations. HIPAA complaints are investigated by OCR. The rise in cyberattacks on healthcare organizations mean data breaches are now far more likely to occur. A recent study by HIMSS Analytics/Mimecast showed 78% of healthcare organizations have experienced a ransomware or malware attack in the past 12 months, while an Accenture/AMA report showed 83% of physicians have experienced a cyberattack. OCR investigates all breaches of more than 500 records to determine whether HIPAA Rules are being followed. When a breach occurs, organizations’ HIPAA compliance programs will be scrutinized. OCR has also stepped up enforcement of HIPAA Rules and financial penalties are far more common. Since January 1, 2016, there have been 20 settlements reached between OCR and HIPAA covered entities and their business associates, and two civil monetary penalties issued. OCR has yet to state whether financial penalties will be pursued as a result of the HIPAA audits, but OCR is not expected to turn a blind eye to major HIPAA failures. Multiple violations of HIPAA Rules could well see financial penalties pursued. The higher likelihood of a data breach occurring or a complaint being filed means noncompliance with HIPAA is likely to be discovered. But what are the costs of noncompliance with HIPAA? What are the incentives for ensuring all HIPAA Rules are followed?